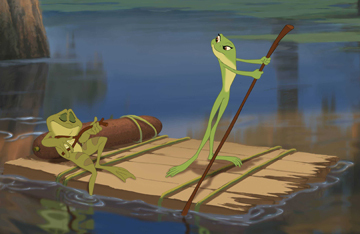 Moments both touching and funny, memorable characters, gorgeous artwork and catchy songs - The Princess and the Frog has all the hallmarks of classic Disney movies. Add in a top-shelf villain and other quirky secondary characters, and you have the best film from the Mouse House in years. You may know whether you are covered in slime or are secreting mucous, but how well do you know The Princess and the Frog.